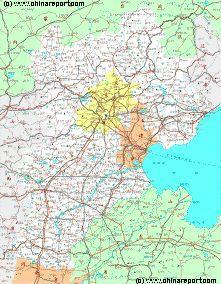 This geographical Map gives a clear overview of Hebei Province and immediate surroundings. 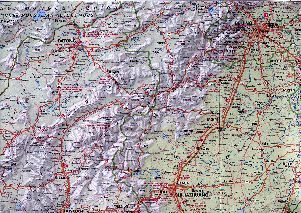 including neighboring area's of adjacent provinces of Shanxi Province, Inner Mongolia Autonomous Region, Liaoning Province, Shandong and Henan Province. Provincial borders are delineated by various colors. 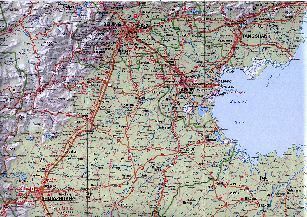 Focussing on Beijing and Tianjin Municipalities (City Province), the Map further provides locations of villages along main roads and railway lines, locations of Monumental and Cultural Historic Sites in the area (includes Great Wall of China locations) and locations of scenic or holy mountains in the region. more information, photos and backgrounds. 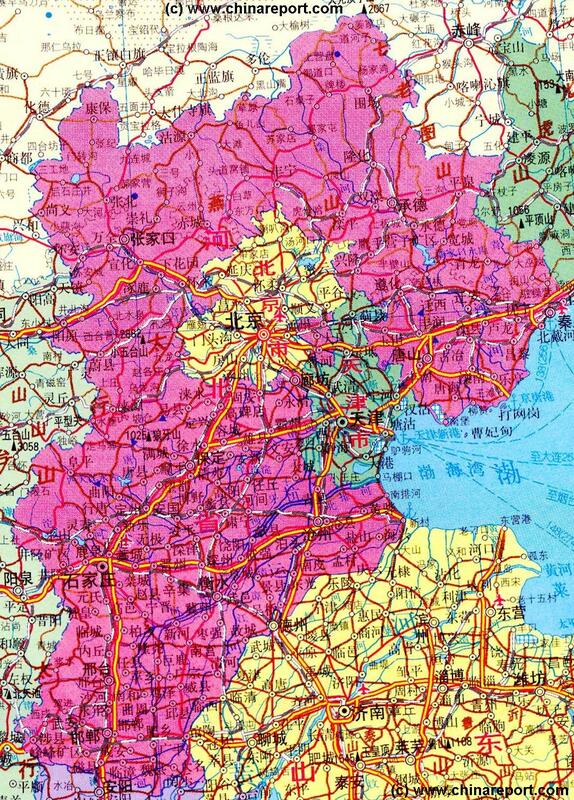 Hebei Province - Map 1 Schematic.